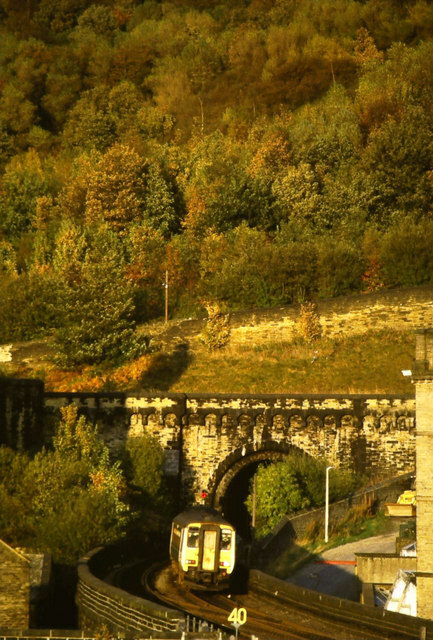 A diesel multiple unit approaching Halifax in late afternoon sunshine. SE0925 : Dean Clough, "D Mill" Dean Clough is indeed a wondrous complex. The best view of all is from the North Bridge Flyover. This is barred to pedestrians so don't blame me if your master shot gets you arrested. A half way decent walk round this complex to get pictures is a couple of hours and probably a couple of miles too.